Just announced today at South By Southwest Interactive, there’s news big news for DJs and producers alike: the Apple Music streaming platform will soon allow remixes, mashups, and mixes to be added to the platform. For DJs and producers, this means there’s a chance for unlicensed works to actually get higher profile exposure, while a partnership with Dubset will allow the original artists to still receive royalties from the use of their work. 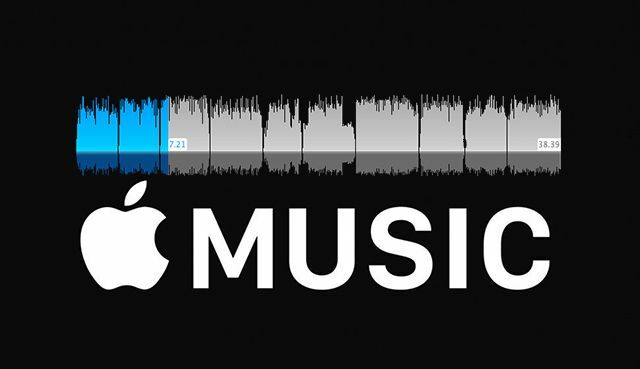 Dubset is a company which has a distribution process in place to provide and license previously unlicensed DJ/remix content to digital music services, and Apple Music is their first major streaming music platform partnership. This means that DJs and producers can provide their content to Dubset, and via an analysis engine (called MixBANK), they determine what original works are used within the content. If approved by the labels / rights holders, then DJs can have their works distributed out and everyone gets a slice of the royalties when they come in (yes, even the DJ). How Do I Get My DJ Mix On Apple Music? Right now it’s a little bit unclear whether Apple Music will be streaming every single DJ mix, remix, and mashup that MixBANK has on file, or if they’re exercise some level of creative control to limit the amount of content that ends up on the streaming platform. That being said, to give yourself the best shot at getting your content on Apple Music, you’ll want to sign up for MixBANK here. (Editor’s note: due to this announcement, it looks like registration takes some time at the moment) The registration process involves uploading an avatar, and linking to two DJ mixes – and then your profile gets reviewed. You then can upload all of your content and wait to see if it gets approved by the detected rights-holders for distribution to streaming services. Will you add your own DJ mixes to MixBANK and attempt to get them on Apple Music? Let us know your thoughts in the comments.